INT & NORD CH & WW-15 & NORD W-18. I am really so Happy and proud! 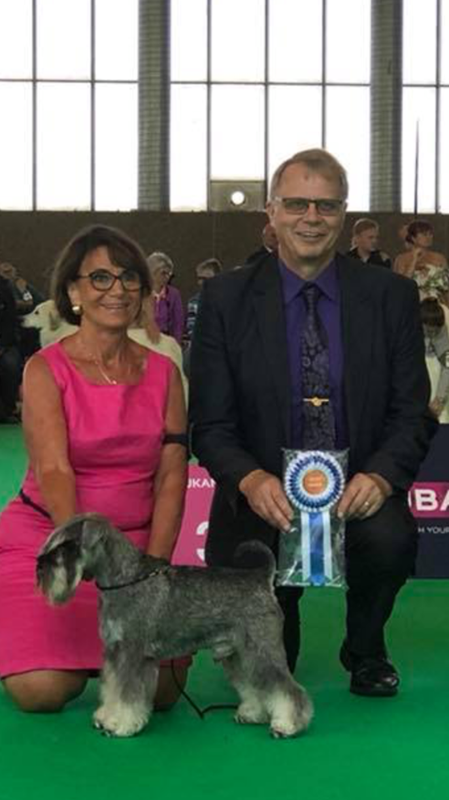 INT & NORD CH SCHNAUZI-HEROS HER HIGHNESS HERA was 2: nd BEST FEMALE with CAC and became NO CH at NORD WINNER Dog Show in LILLESTRÖM 2018-11-16. 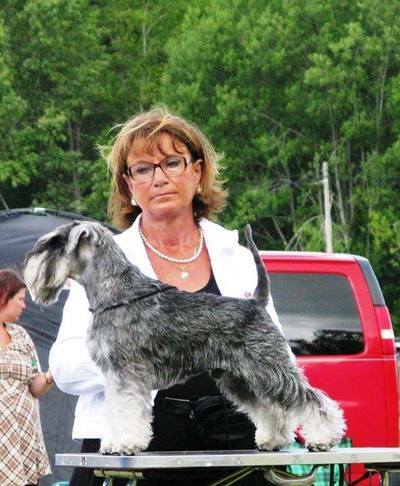 Judge: Breedspecialist Susanne Svedjebrink. 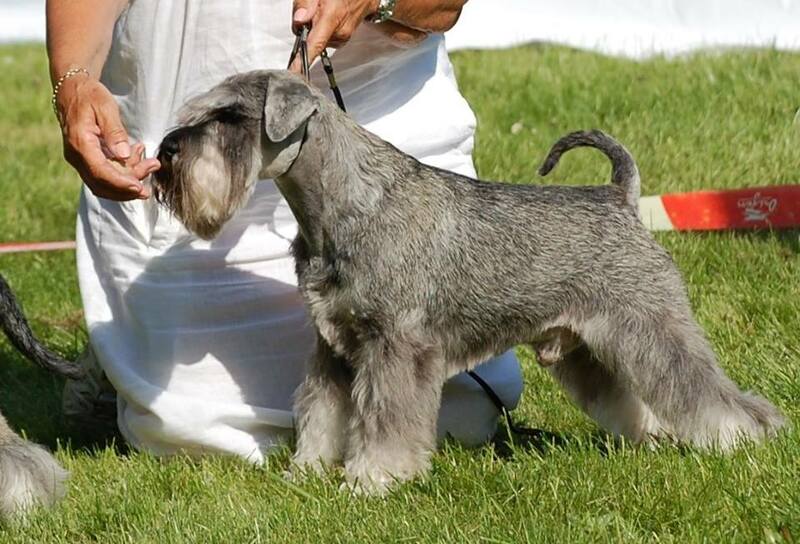 was BOB with CAC & CACIB and he is now NORD CH on his way to Int Ch! 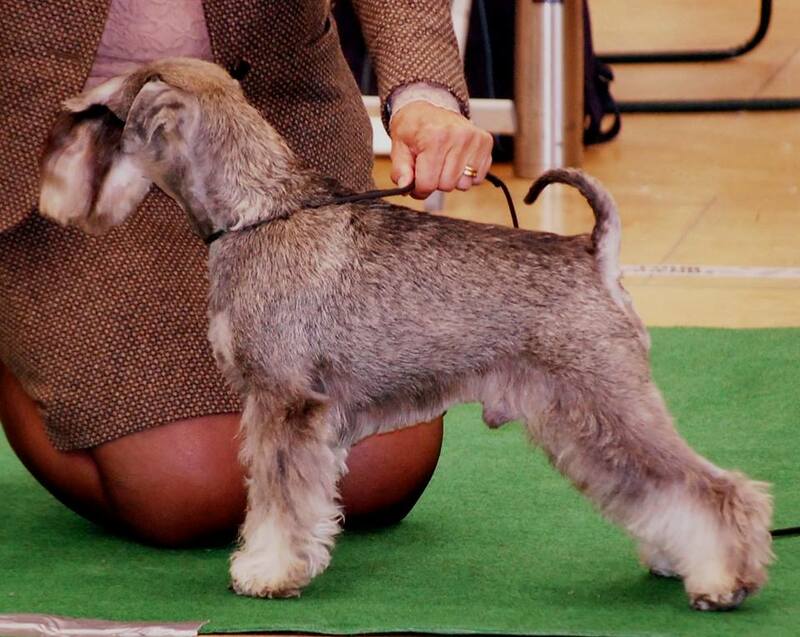 Kenzo was BOB at Speciality Dog Show in Amsterdam 2018. 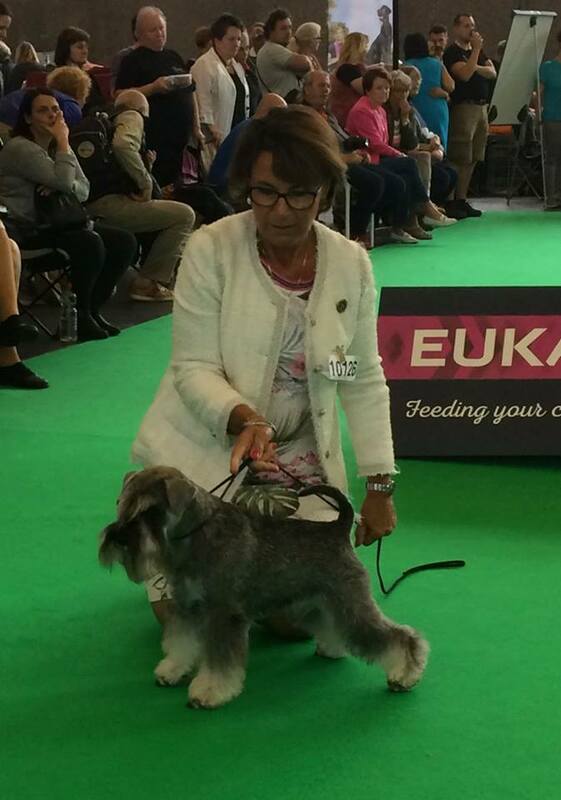 At WW he won the big Open Class and was one of the 4 best males! 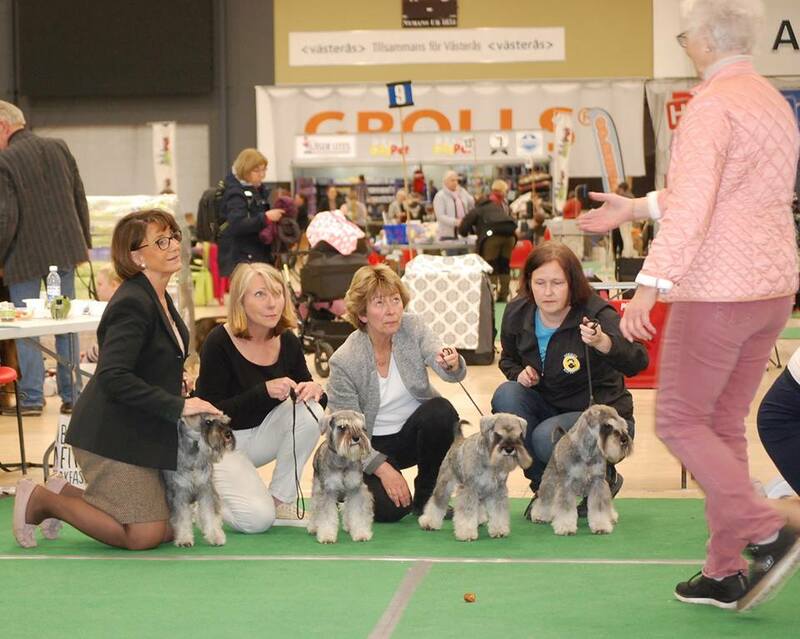 at SKK Nat DogShow in GIMO 2018-09-09. INT & NORD CH, NORD W-15 SCHNAUZI-HEROS KUNG KENZO - BOS/BIM (Best Male). 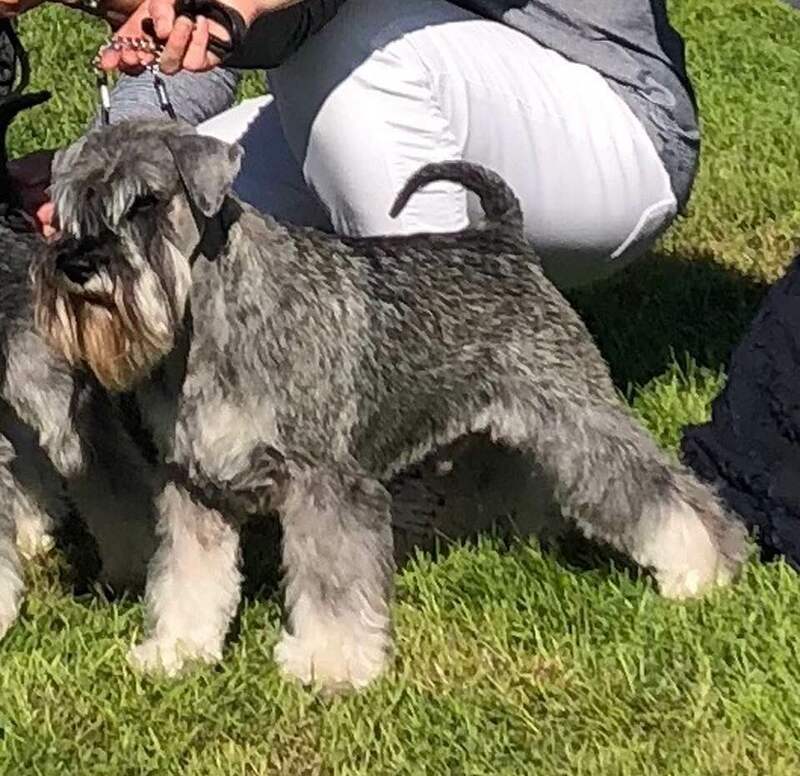 Halfbrother CH SCHNAUZI-HEROS LAMBORGHINI -2:nd Best Male. 30 entries for Judge: Jeanette Lemmeke. Photos of CH SCHNAUZI-HEROS EXCELLENS EINSTEIN, 35 cm and born 2010. 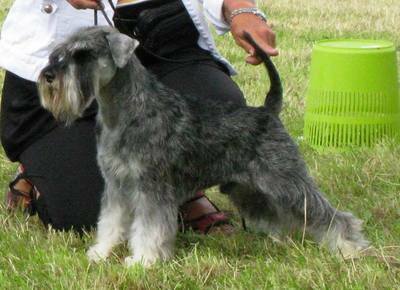 (SE V CH Minii Maxi Ostin- CH Schnauzi-Heros Olga of the Opera). 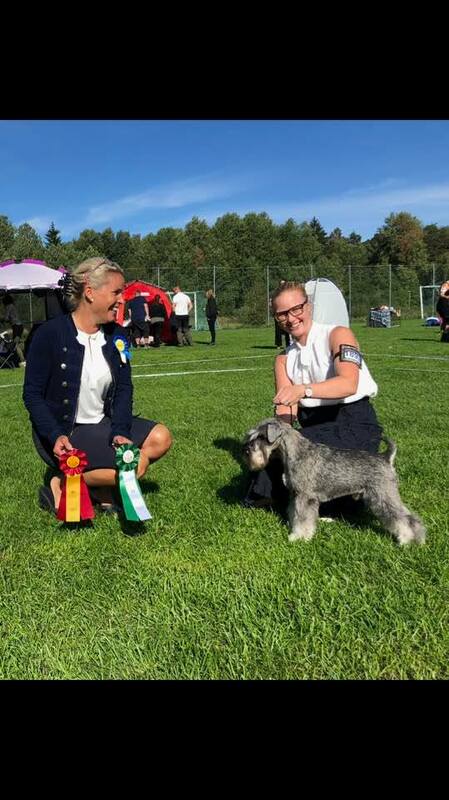 Einstein was "BIS VETERAN" at SSPK DogShow in Högbo 2018-09-01 for Judges: Catrin Westin and Samuel Carlid. 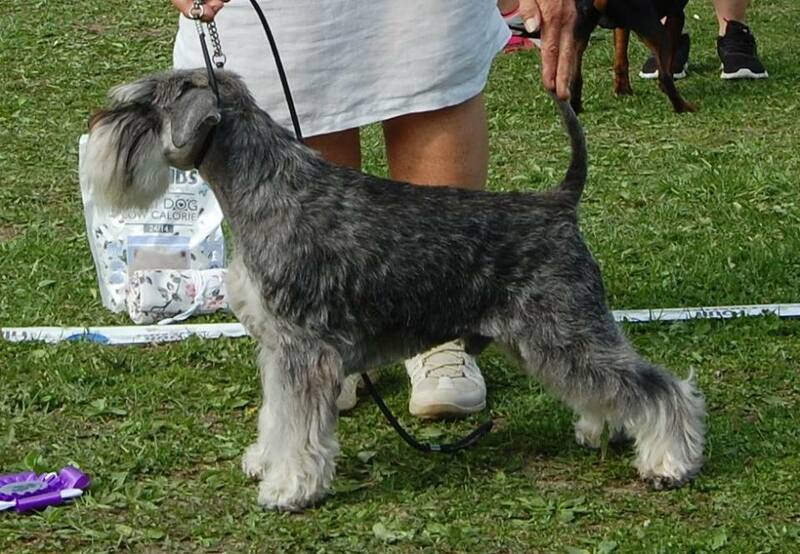 He was also BOB (4 entries) and BIS-4 Veteran at SSPK DogShow in Eskilstuna earlier this Year. INT & NORDCH SCHNAUZI-HEROS HER HIGHNESS HERA was BOS, Best Femal on Sunday the 2018-08-26 at INT Dogshow in VISBY. Judge: Bill Hendersson, Irland! 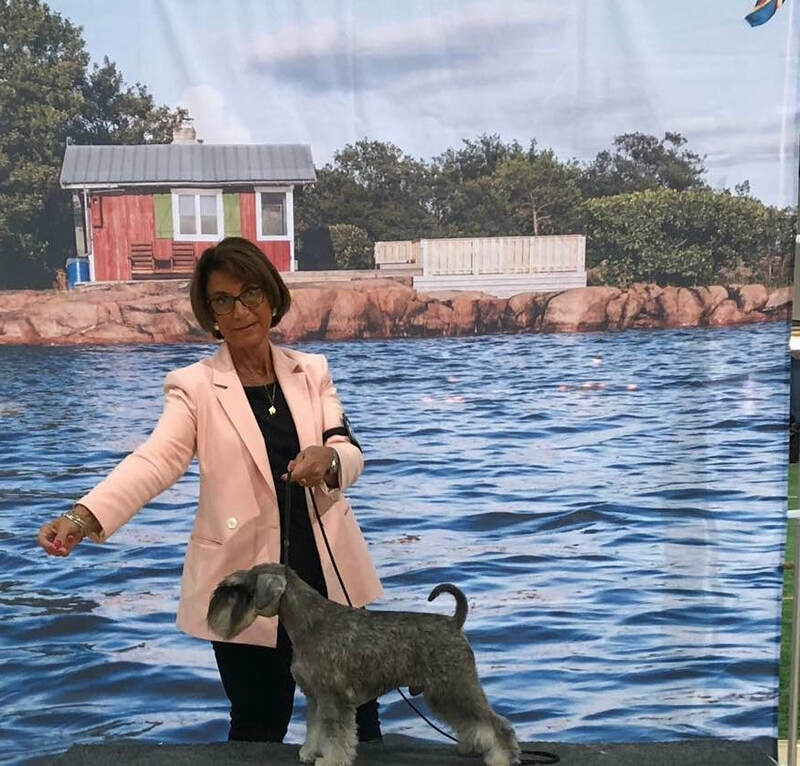 at STOXA INT DogShow in Stockholm 2018-08/05 where he was BOB and BEST IN GROUP-4 . Judges: Nemania Jovanovic, Serbien och Eva Nielsen, Sweden. Thank you Marthe Norström for the nice photo! 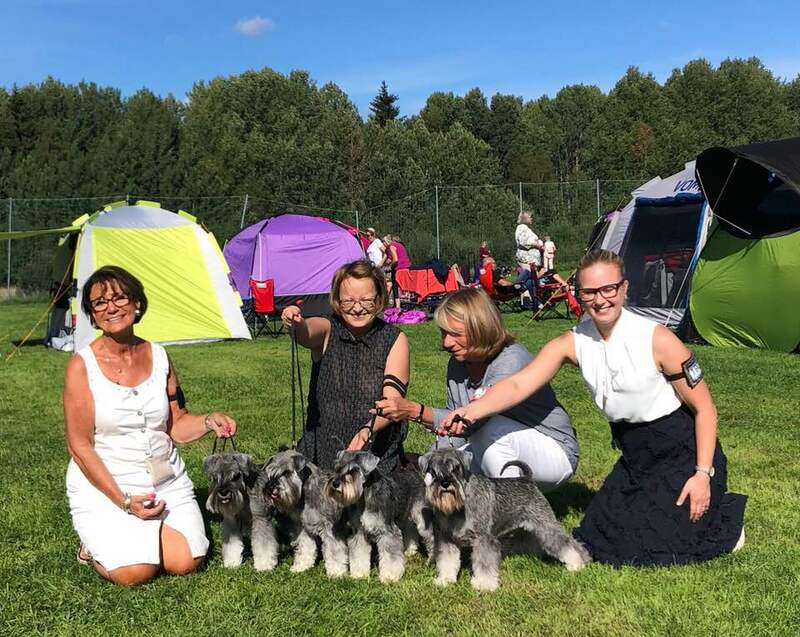 NORDIC DOGSHOW in Ransäter 2018-07-28. 25 entries for Judge: Åke Cronander. Thank you for appreciate our dogs so much! Both we and their mother Antonia are so Happy for this results! his halfsister NORD W-17 ARBAQS YENTL was also today BOS with CAC and CACIB. Thank you to my dear friend Ann-Louise Gyllenbern for your help and for showing Yentl in BOB! So happy for this fantastic results! 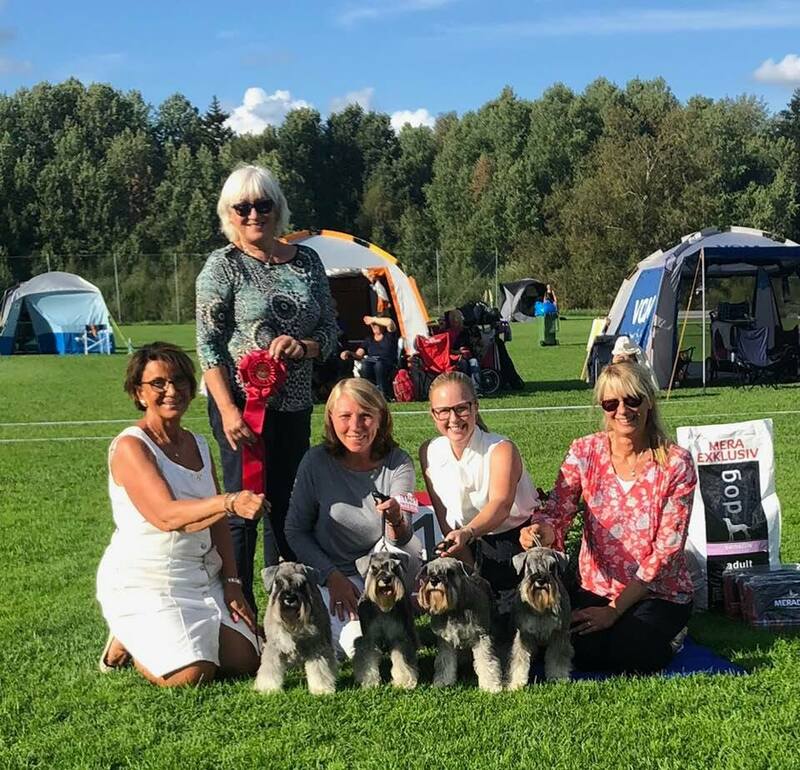 "SCHNAUZI-HEROS" kennel was "BEST IN SHOW - 2 BREEDERSGROUP" at SSPK Dogshow in Hässleholm 2018-05-20. BOB Judge: Eva Borg Liljekvist & BIS Judge: Gina Ekström Persson. Dogs on photo from left: Noble Napoleon, Her Highness Hera, Maria Mercedes and Kung Kenzo. Thank you for professional handling, Frida Tjernberg, Yvonne Elofsson and Wilma Lundström- Landergård. 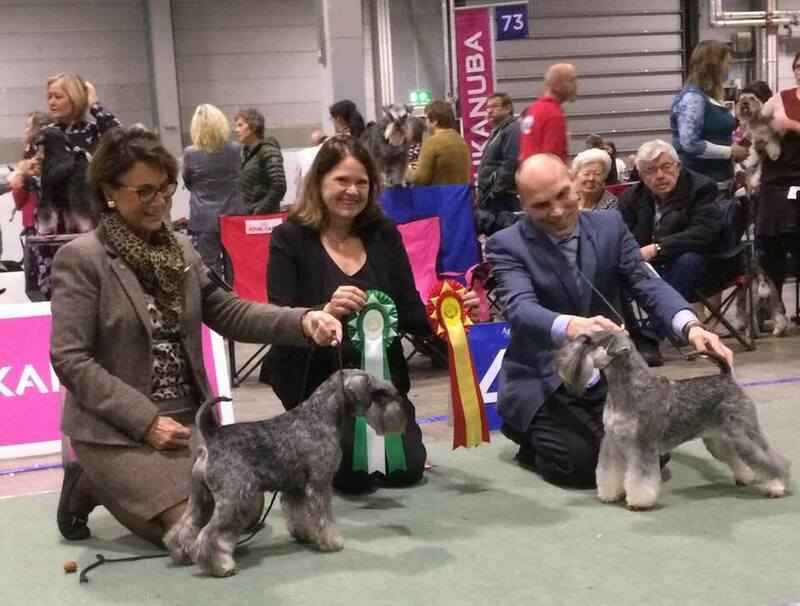 where SCHNAUZI-HEROS KUNG KENZO was 2:nd Best Male first day and BOB the second day. Schnauzi-Heros Her Highness Hera was 2:nd Best Female first day and 3:rd Best Female second day. Maria Mercedes got Excellent from Juniorclass. 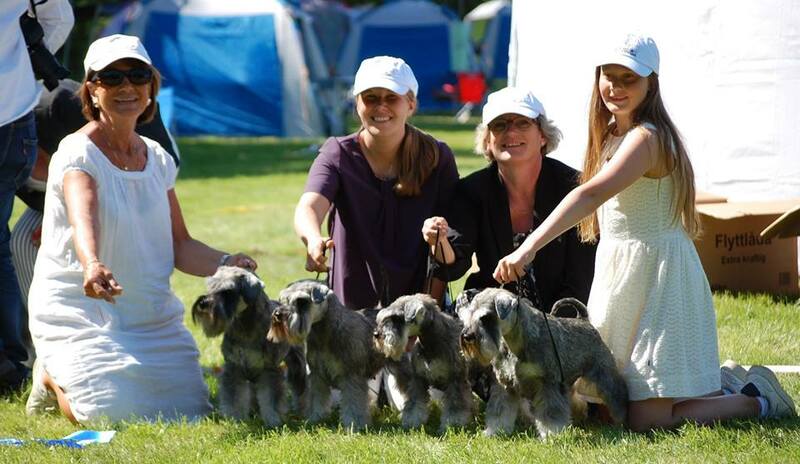 All together we were BOB Breeding group both day and BEST IN SHOW-2 Breeding group second day. Judges were: Gina Ekström Persson and Eva Borg Liljeqvist. 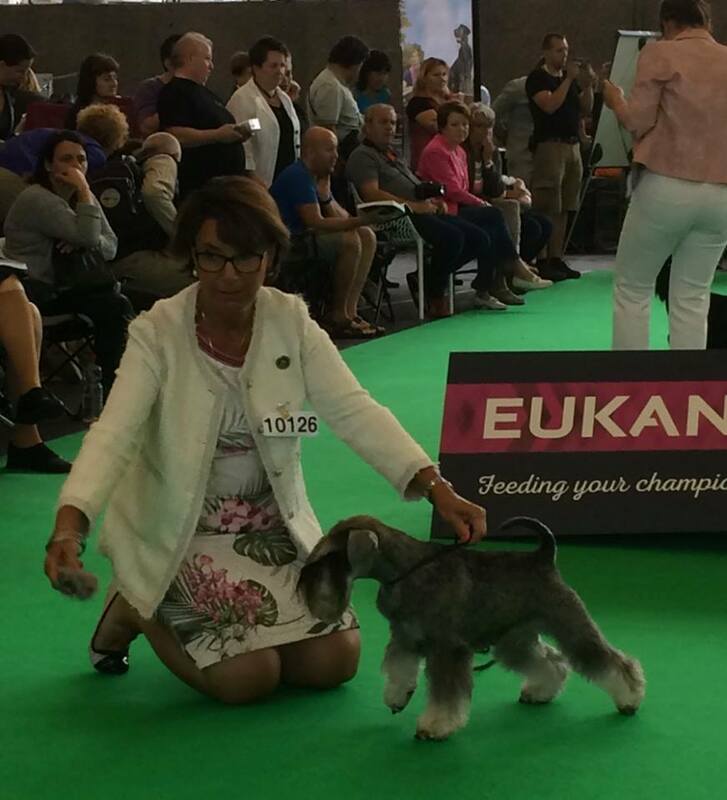 We also say congrats to "Elofins Lydia Lucretcia" who got her first CAC from Juniorclass on her first Dogshow. 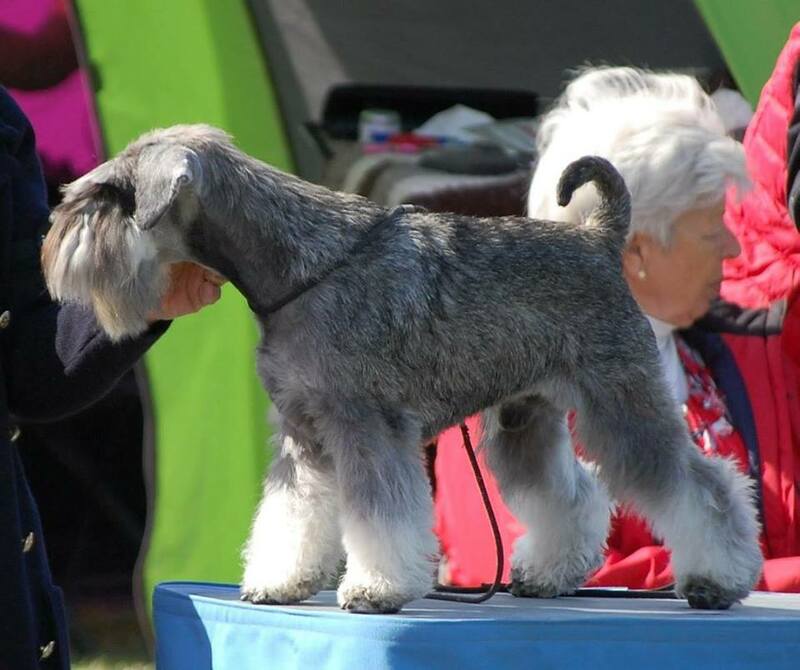 Our INT CH Schnauzi-Heros Zobra Zorro is her proud father. 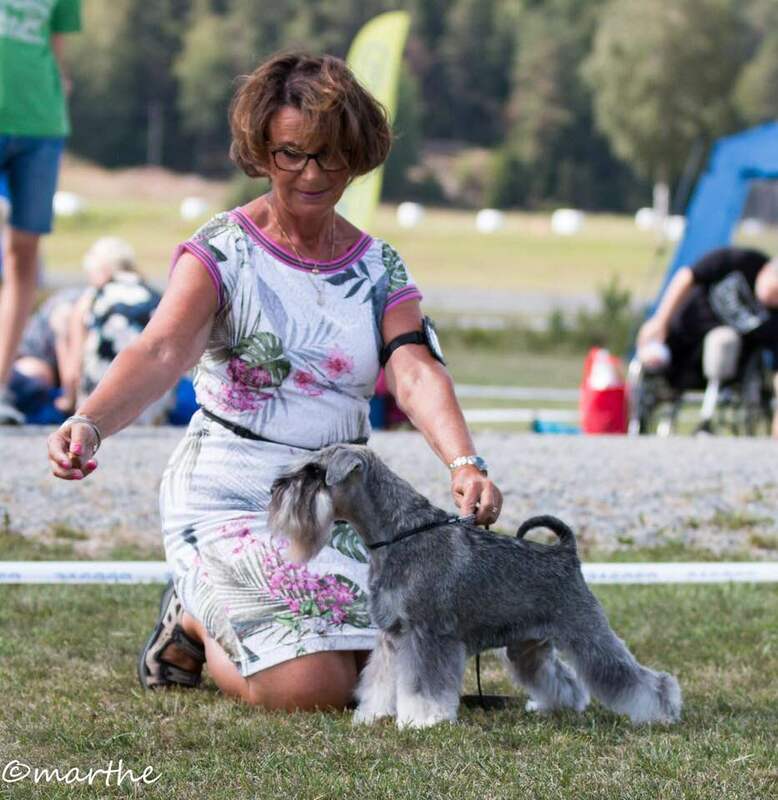 The day before he was 2:nd Best Male at SKK Nordic Dogshow in Hässleholm for judge: Gina Persson Ekström. 29 entries. was BEST MALE with Nord CAC and BOS at SKK Nord Dogshow in Gimo 2018-05-27. 34 entries for judge: Samuel Carlid. Photo: Lars Appelin. Thank you Frida for showing him so nicely! NEW CHAMPION in our kennel! 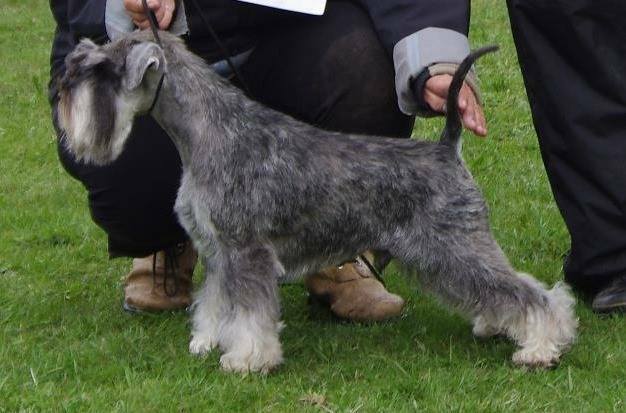 SCHNAUZI-HEROS LAMBORGHINI di MESSI ( WW-15 & INT CH Little Star de Trufas Negras - INT CH, Vice WW-11 & NORD W-11 Schnauzi-Heros Antonia of Victory). With 6 CAC he was champion on first try after being 2 years old. A happy guy with a lot of show temperament. 2:a (av 4) Bästa uppfödargrupp. 2:a (av 4) Bästa avelsgrupp med Messi. Photos from nat. 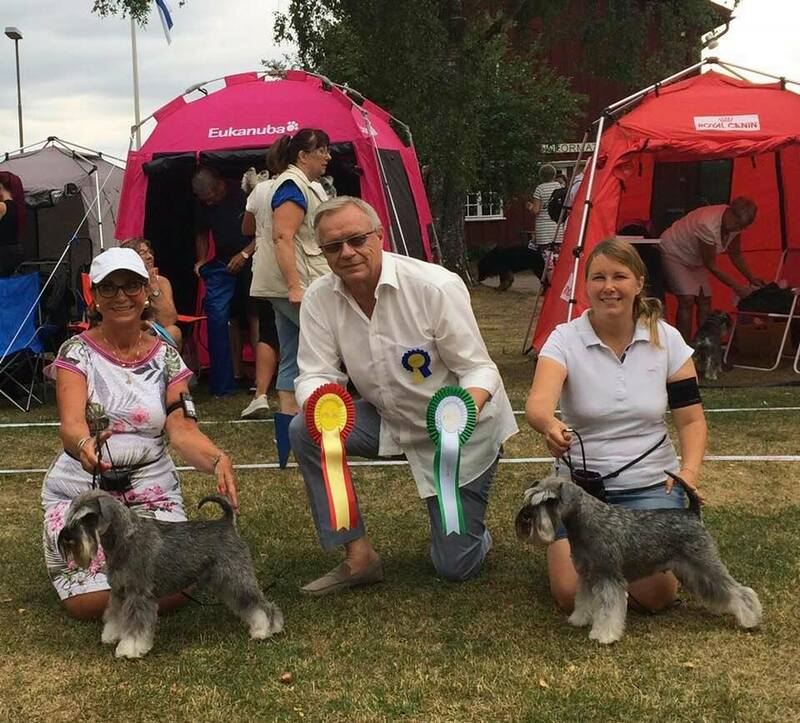 Dogshow in Västerås 2018-04-28, where INT & NORD CH SCHNAUZI-HEROS KUNG KENZO was BOB/BIR and his halfbrother CH SCHNAUZI-HEROS LAMBORGHINI was 2:nd Best Male. A daughter of our Messi NORD W-17 Arbaqs Yentle was 4:th Best Female and finally we got BEST BREEDERS GROUP out of 4 entries. 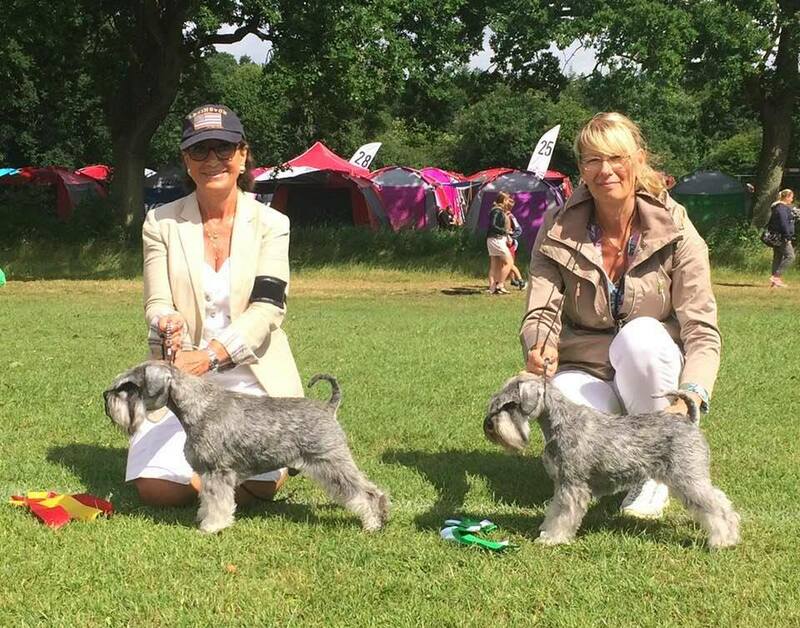 Totally 45 entries for schnauzer Judge: Marianne Holm-Hansen, Denmark. Kung Kenzo is also always very alert and best of all he moves like a KING! One is Kenzo and the other one Lamborghini! Can you tell me who is who? 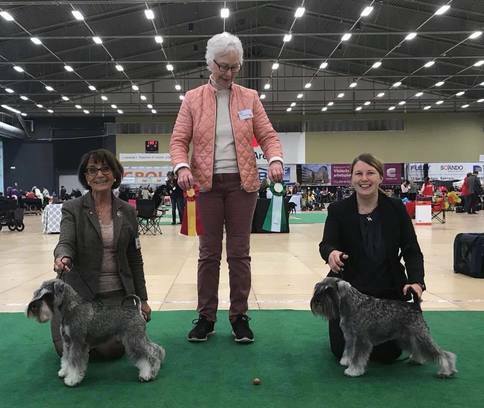 INT& NORD CH SCHNAUZI-HEROS KUNG KENZO BIR/ BOB at nat Dogshow in Västerås 2018-04-28. 45 entries for schnauzerjudge Marianne Holm Hansen, Danmark. the CAC went over to his other half brother ( same father as Kenzo). Broddways Vermont Bennington. We also say congrats to La Leias Faboulous Fixa who was BOS/BIM. 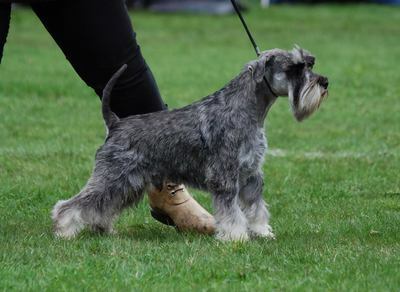 Best Breedersgroup out of 4 entries. From left Scnauzi-Heros Nobla Napoleon (junior), Nike (junior),CH Lamborghini and INT CH Kenzo!